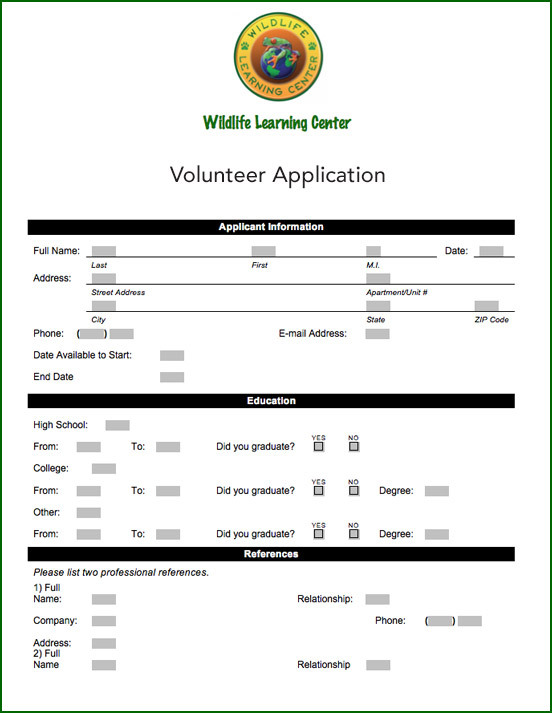 WLC offers volunteer opportunities for dedicated individuals who are interested in helping with our efforts to care for displaced animals and to educating the public in the life sciences. Volunteers play an important role in keeping Wildlife Learning Center a clean and enjoyable place for visitors. We are immensely appreciative of our volunteers and they greatly help us in achieving our goals. Because WLC cares for wild and exotic animals that require highly specialized care and can be potentially injurious, volunteers do not work hands-on with the animals until they have logged a significant number of volunteer hours and have gained considerable experience. *Volunteers must be at least 16 years of age and commit to one shift a week.